Many recognize its Christmas after they receive gifts from their friends. 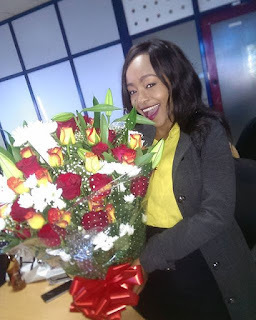 Well It was a day quite a colourful day for KTN news anchor sophia Wanuna aftrer she received a banquet of flowers. The sultry anchor could not hide her joy after receiving her gift and took to social media to reveal the sweet gesture of the person who did this. 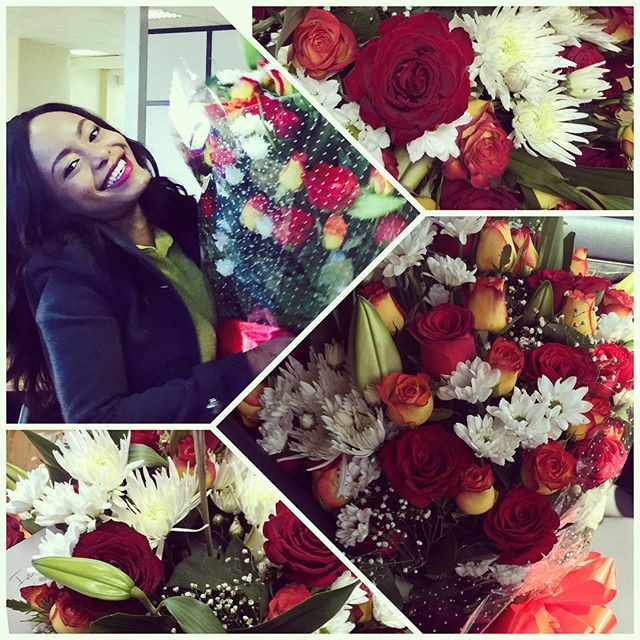 Here is what she posted on er instagram page.